TV: BeIn Sports 6 // Follow the action Live on YouTube. Background: Myanmar had played only a single match since the culmination of Challenge Cup qualifying 14 months ago. That fact- plus the presence of a new coach left many thinking that Myanmar were complete no-hopers in Group A. Fortunately, for the Myanmar FA- they hired the right coach Radojko "Raddy" Avramovic is a seasoned pro- known for getting the most out of his teams. His coaching journey has been strangely intertwined with Palestine. A 3-3 draw versus Palestine at the 2002 Arab Cup cost him his job as manager of Kuwait. A year later he resurfaced with Singapore where he met Palestine again (registering four points in two qualifiers played in Singapore). Raddy came up against the Palestinians three years later during 2007 Asian Cup qualifying- but this time dropped all points on offer. A year later Singapore would exact revenge by condemning to one of the most humiliating defeats in their history. After nearly a decade in charge, Raddy managed to transform Singapore into the most successful side in Southeast Asia. 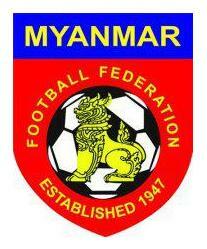 The Myanmar FA will hope that that type of success is on the cards for their national side. The White Angels are a off to a fantastic start after an upset 3-2 win over hosts Maldives. A victory registered while playing with 10 men for over 70 minutes. Perhaps the tactical onus of Raddy is already rubbing off on this squad? Challenge Cup Squad: All 23 players in the side ply their trade in Myanmar with Yangon United and Yadanarbon providing a whopping 15 players. Key Player: The captain Yang Piang will be tasked with pulling the strings in attack. Watch out for the brilliantly named Ko Ko as his speed caused all sorts of problems for the Maldives. Style of Play: Speed. Myanmar is an extremely fast team and they enjoy going forward and breaking on the counter. That said, there is a lack of discipline amongst the squad- as evidenced by the seven yellows they collected against the Maldives. Palestine have been incredibly compact and without an aerial threat to probe them on crosses and set pieces, Myanmar could struggle to make inroads in attack.